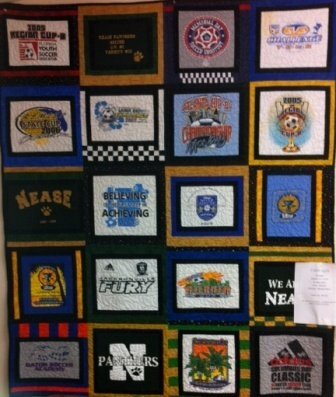 T-Shirt Quilts are a great way to celebrate, remember, or say "Thank you". They are easy to construct and give the recipient fond memories of past good times. Nice for grads, sports fans, and anyone who just can't get rid of those old T-Shirts. All levels of quilters will enjoy making this wonderful memory quilt!